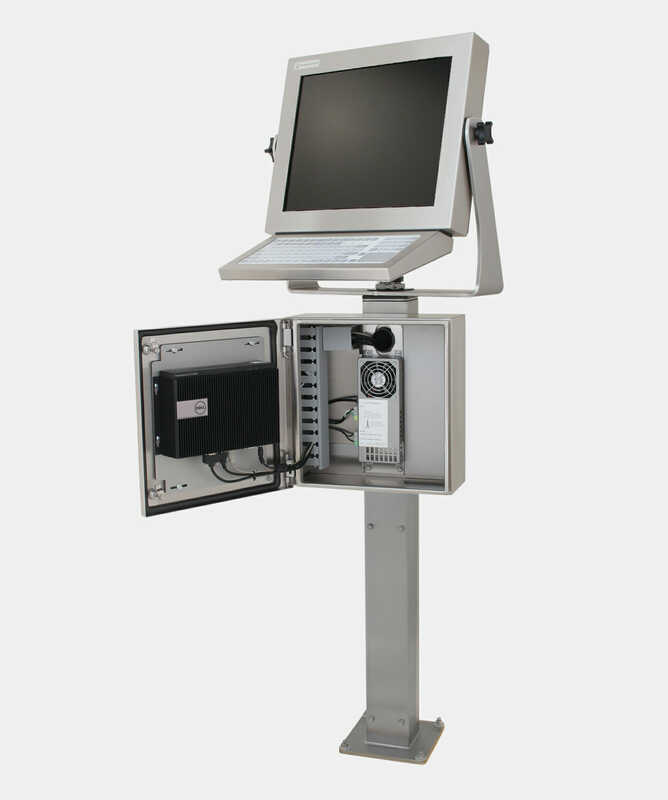 Our Small PC Enclosure can be mounted in a number of ways and combined with our Universal Mount Monitors and Industrial Keyboards to create a full stand-alone workstation for any industrial application, including those in full wash-down environments. 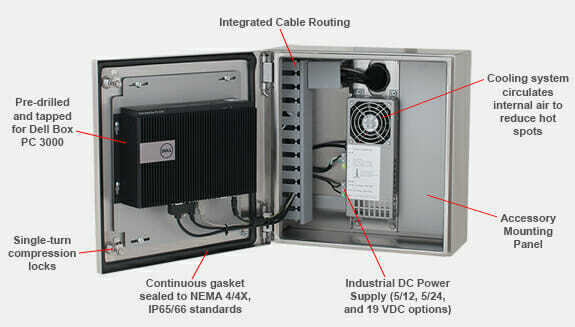 You can easily complete your workstation with the Dell Box PC 3000 and Dell mounting bracket (Dell part no. 575-BBKB) by attaching the mounting bracket to the existing mounting points on the enclosure door. Contact Hope Industrial Systems for more information.